When you are seeking experience and customized concrete solutions to meet your unique needs, you should only consider the best concrete contractor in Edmond, Oklahoma. 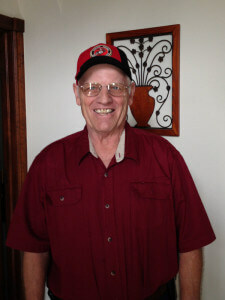 Bill is a concrete contractor serving the Edmond, OK area since 1976. Bill and his team has been charged with completing everything from the most complicated concrete jobs to the thousands of concrete driveways, patios, and sidewalks, and has delivered amazing final products. One of Bill’s motto’s is that there is only one way to do a concrete or yard drainage solution, and that is the ‘right way’. You trust your needs to a professional concrete contractor with over 37 years of experience in the Edmond, OK area. Why Should You Trust Bill As Your Concrete Contractor? Aside from being in business for over 37 years (as mentioned before), this company has an A+ rating with the BBB (Better Business Bureau). You can check out our BBB Review Page Here. There are thousands and thousands of customers who will attest to their level of satisfaction with the final product delivered by this team of Edmond concrete experts for many years. This is a clear indication as to the level of service delivered and most importantly, the level of satisfaction customers are receiving. It’s not easy to become an A+ member of this member regulating board, and Bill has achieved and maintains such a status. This is a remarkable accomplishment and should not be considered lightly when choosing a custom concrete contractor in Edmond, OK to meet your needs. Bill’s Custom Concrete is committed to meeting your individual needs. You will not work with a more professional, customer centered concrete contractor in Edmond, Oklahoma. The level of design, the years of experience, and the A+ BBB rating to demonstrate the level of satisfaction delivered to our customers, should instill a level of confidence to help you make the right decision in working with this team of concrete professionals. Call us today at (405)755-3975 to see if we can help you with your concrete or yard drainage needs.